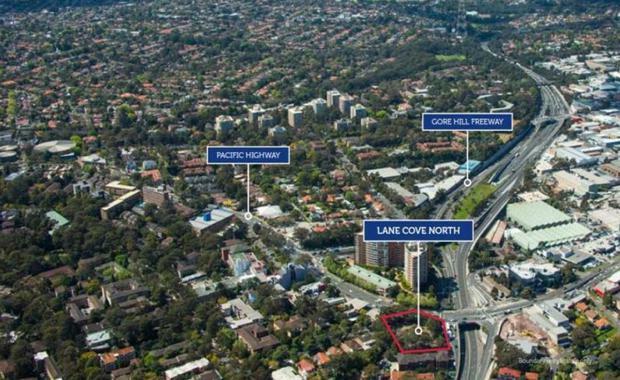 A Lane Cove site earmarked for residential development has been sold under the hammer for $21.1 million. As reported in the Australian Financial Review, Government Property NSW sold the site at 2 Burley Street, Lane Cove. With a land area of 3,029 square metres the site is suitable for 85 apartments. The site was one of three sites up for sale through Knight Frank's Tyler Talbot, Tim Holtsbaum and Andy Hu. According to Knight Frank, the site is ideal for a developer looking to capitalise on the increased growth in residential demand seen in recent times. It is situated in close proximity to both the Sydney CBD and North Sydney CBD, the site benefits from convenient access to major arterial roads, including the Pacific Highway and Gore Hill Freeway.